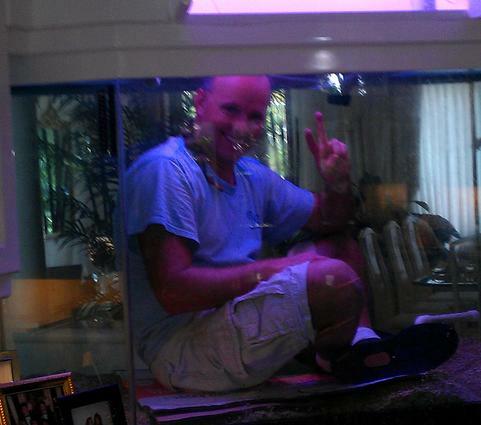 At The Fish Guy we have been maintaining aquariums in Manatee and Sarasota counties for over 18 years. Owner/Founder, Travis Sparkman, has been working with aquariums as a full time career for over 24 years, 2 managing a store and over 22 spent on the road locally servicing aquariums for your friends, neighbors, and businesses you frequent. Service Tech, Barry Smith, has been a long time hobbyist. He has done well learning the trade over the past couple years while on board. Our newest service tech, Anthony Gambino, came to us with a few years under his belt and is ready to take care of your fish! "To provide and maintain a healthy environment for the animals in our care. To offer the best possible service to our customers. To promote integrity in all our work and relations."